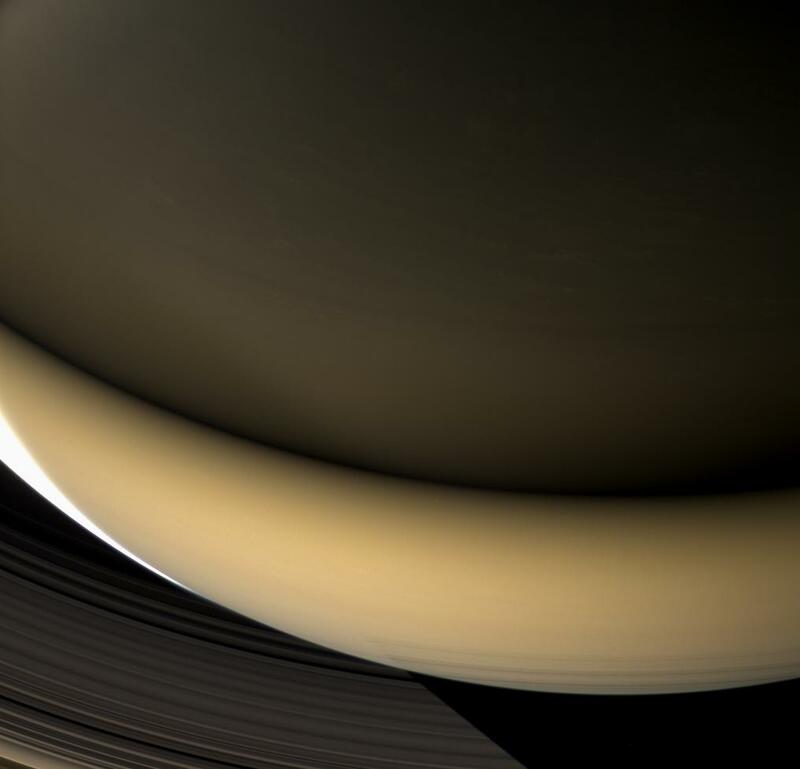 Large regions of Saturn's night side are illuminated by the planet's gleaming rings. Except for a sliver of the sunlit crescent at left, this view shows a part of the planet lit almost entirely by ringshine. 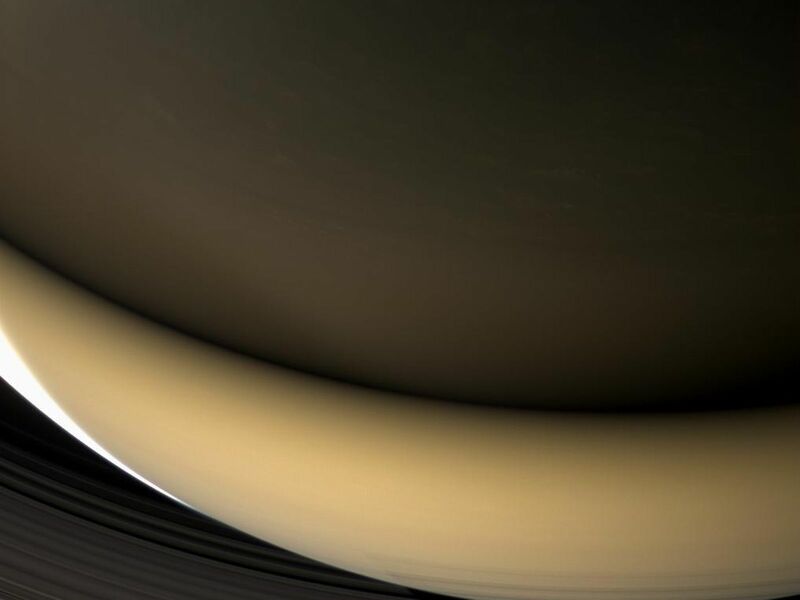 The southern hemisphere, at bottom, receives its illumination from sunlight that strikes the rings' southern face and is reflected onto the planet. The northern hemisphere, at top, is lit by the feeble light that wends its way through countless ring particles to emerge on the rings' north face. Despite the dim lighting on the northern part of the planet, many cloud features can be seen there nevertheless. This view was acquired from about 44 degrees above the ringplane. 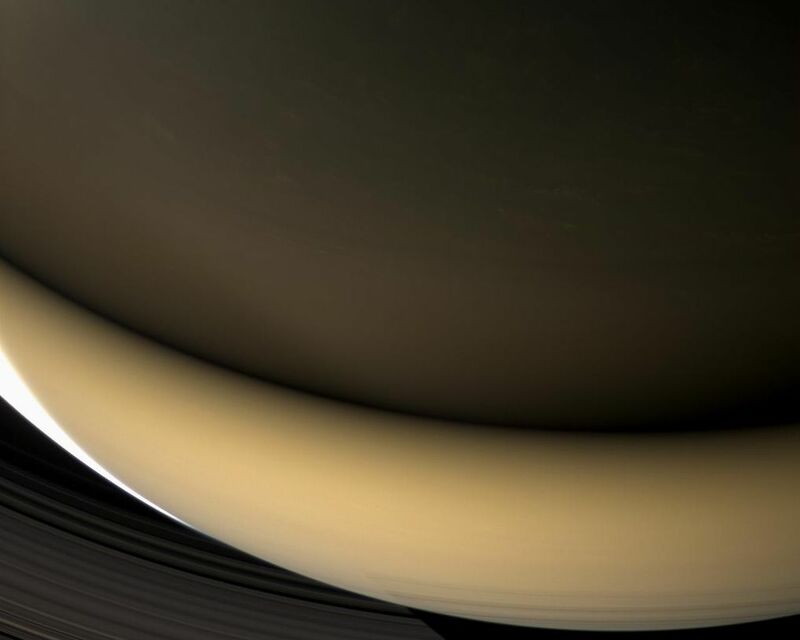 At bottom, the planet's shadow stretches across the D and C rings. Images taken using red, green and blue spectral filters were combined to create this natural color view. 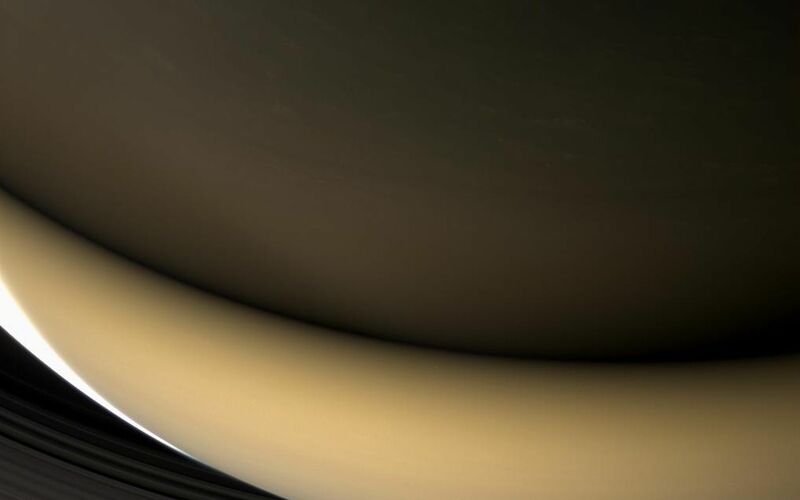 The images were obtained with the Cassini spacecraft wide-angle camera on April 23, 2007 at a distance of approximately 901,000 kilometers (560,000 miles) from Saturn. Image scale is 50 kilometers (31 miles) per pixel.